The MIT Initiative on the Digital Economy has announced the four North America regional winners for the 2018 global economic prize, the MIT Inclusive Innovation Challenge (IIC). 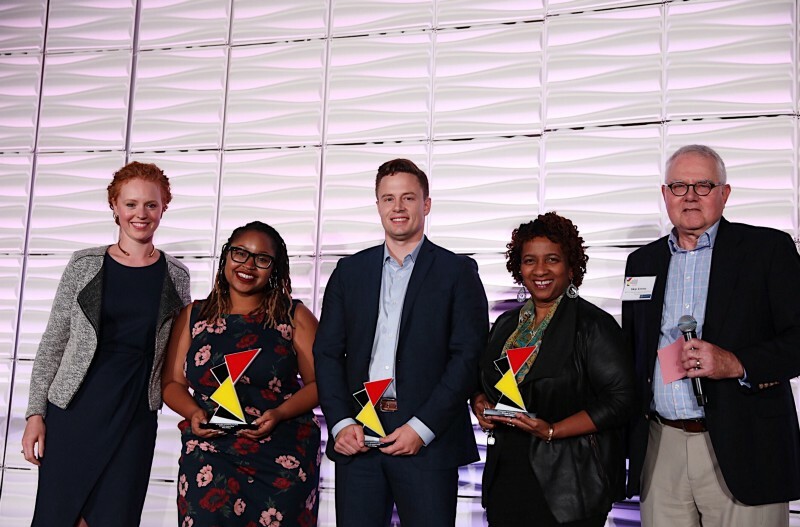 The winning organizations were selected from 12 finalists at a celebration in Detroit, Michigan, on September 27, featuring MIT IDE director Erik Brynjolfsson. The celebration was held in conjunction with the IIC North America collaborator, the Ralph C. Wilson, Jr. Foundation. The IIC was launched at the Massachusetts Institute of Technology three years ago to help speed the transition to a high-growth and high-opportunity digital economy. The IIC awards $1.6 million annually to the “heroes of Inclusive Innovation” − organizations that are using technology to reinvent the future of work and create a more equitable economy. Nearly 300 for-profit and non-profit organizations across North America registered for the North America Challenge. Regional experts evaluated and provided feedback on applications. A Selection Panel of 10 regional leaders chose four IIC North America Winners live at the event. Each winner received $20,000 and an expenses-paid trip to MIT for the global tournament on November 8. At this Grand Prize Gala, to be held at MIT, the IIC Champion Committee will select four Grand Prize Winners from the four North America winners as well as the 16 winners from the MIT IIC’s other regions – Latin America, Europe, Africa, and Asia -– to each receive $250,000. CareAcademy (Boston, MA) provides online professional development to teach and upskill caregivers, providing opportunities for millions of workers to prepare for the future of healthcare without allowing language, income or status to be a barrier. AnnieCannons (Oakland, CA) transforms survivors of human trafficking into software professionals, helping them sustain a lifetime free from exploitation. Apps Without Code (Detroit, MI) is a global education platform that teaches entrepreneurs how to build profitable app businesses without writing any code, with a focus on Black and Latino populations who lack equal access to STEM education. Fig Tech Inc. (New York, NY) works with non-profits to provide credit building products that bridge families from income volatility to financial stability by providing emergency credit to individuals, putting clients on a path to mainstream credit. Press enquiries can be sent to Shannon Farrelly, Director of Communications & Media Relations, at Farrelly@mit.edu.